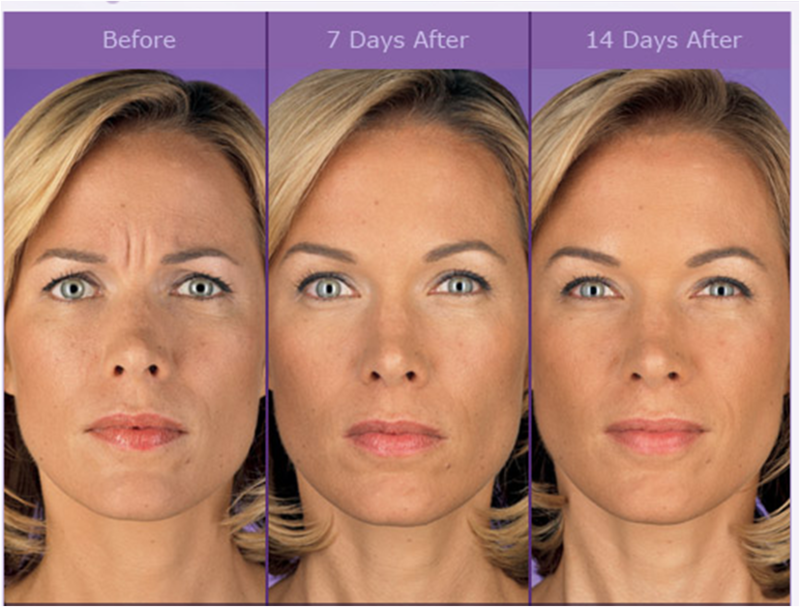 BOTOX® injections block impulses from the nerves to the tiny facial muscles that are related to expression lines. Discover the proven results that 11 million women and men have experienced. With real, noticeable results, no surgery and no recovery time, there are many reasons why BOTOX® Cosmetic has been chosen by millions of women and their doctors. BOTOX® Cosmetic may be the one for you. You may feel that the moderate to severe glabellar lines between your brows make you look tired or unapproachable, or have other reasons for being curious about BOTOX® Cosmetic. Ask your doctor about BOTOX® Cosmetic to find out if it is right for you. BOTOX® Cosmetic is one of the most extensively studied medical aesthetic treatments and is approved for cosmetic use in 78 countries. 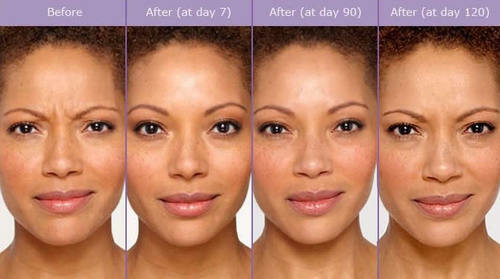 * BOTOX® Cosmetic has a record of experience that aesthetic specialists know and trust. And, the safety and efficacy of BOTOX® Cosmetic have been evaluated in both Allergan sponsored clinical trials as well as in 417 peer-reviewed articles in scientific and medical journals. BOTOX® Cosmetic contains tiny amounts of a highly purified botulinum toxin protein refined from the bacterium, Clostridium botulinum. Formulations, potency, and approved doses vary among botulinum toxin products, which means that one product cannot take the place of another. 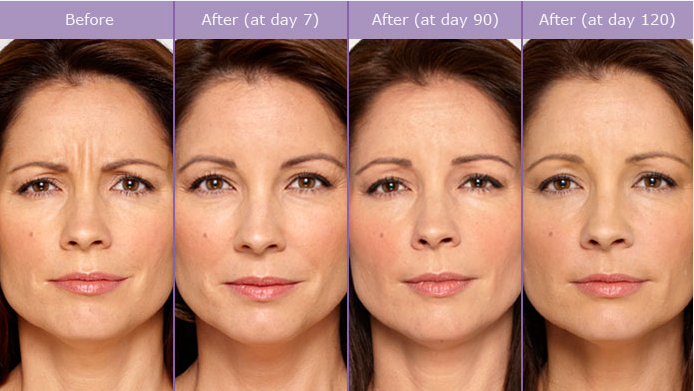 Those are a few reasons why there is no such thing as a “generic” form of BOTOX® Cosmetic. There have been no studies to support that other products are Unit-to-Unit equivalent to BOTOX® Cosmetic. Does BOTOX® Cosmetic treatment hurt? Three percent of patients experienced eyelid drooping in the frown lines studies and 1% of patients experienced eyelid swelling in the crow’s feet studies. Other possible side effects include: dry mouth; discomfort or pain at the injection site; tiredness; headache; neck pain; eye problems: double vision, blurred vision, decreased eyesight and dry eyes; and allergic reactions. These are not all of the possible serious side effects of BOTOX® Cosmetic. Please see the Important Safety Information including Boxed Warning and Medication Guide, and talk to your specialist. Your specialist will discuss your treatment goals and perform a facial analysis to determine the appropriate treatments for you. The actual injection process takes about 10 minutes. What is the average treatment cost? Your cost not only includes the price of the product, but more importantly, the skill and expertise of the specialist or healthcare professional who is administering your treatment. BOTOX® Cosmetic is a technique-sensitive treatment—look for someone who is licensed and trained and has experience treating patients with BOTOX® Cosmetic. Be wary of discount products or “cheap” BOTOX® Cosmetic—if it sounds too good to be true, it probably is. It is more important to find an experienced specialist who will take the time to understand your treatment goals and develop a treatment plan that is right for you. You may begin to notice results within 24 to 48 hours for moderate to severe frown lines, with results lasting up to 4 months. Hours: Mon.–Fri. 10 A.M–6 P.M.